People get over Christmas really quickly. 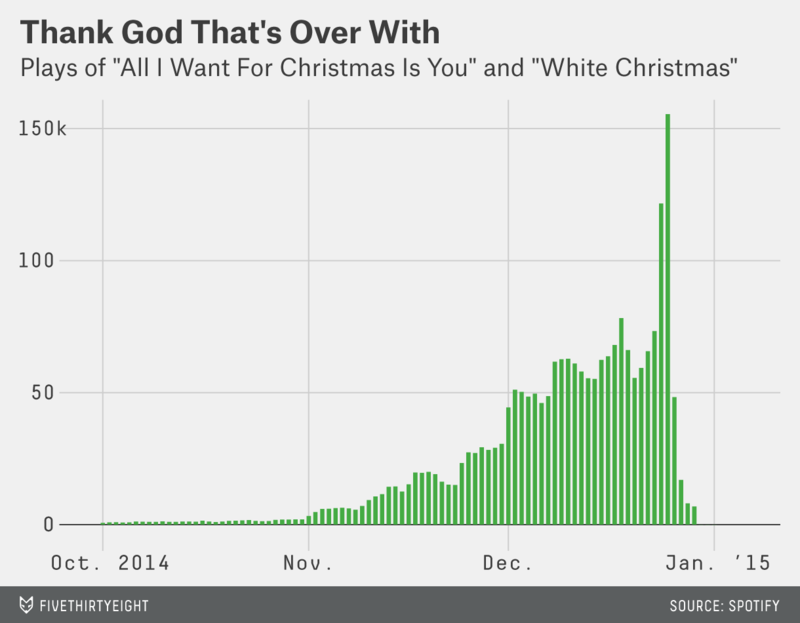 This month, I looked at the data behind holiday music. There’s a ton of research that goes into figuring out what gets played on your local holiday radio station, and the question of when to switch over to the format is complicated. Some stations flip over as early as October. 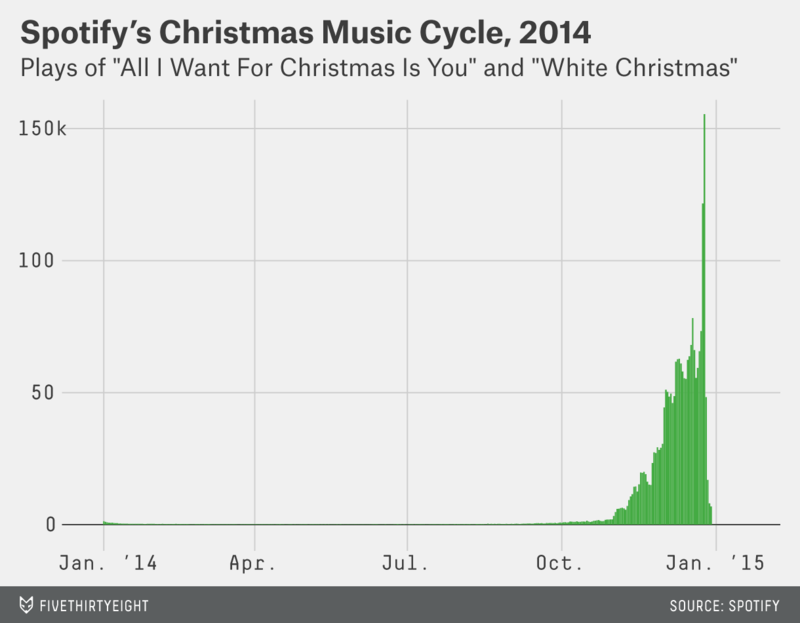 Now Christmas is behind us, and Christmas listening has, understandably, cratered. By Saturday, plays per day had collapsed to mid-November levels. Spotify also sent us all the plays from Jan. 1 to Dec. 29. A full 12 percent of annual plays of these songs are on Christmas Eve or Christmas Day, and 43 percent of plays take place on Christmas Day or the 12 days preceding it. Still, it’s interesting that even in June these songs are still seeing a little play. If you’re wondering when Christmas music hits its nadir, according to a three-day rolling average of plays, it’s June 8.